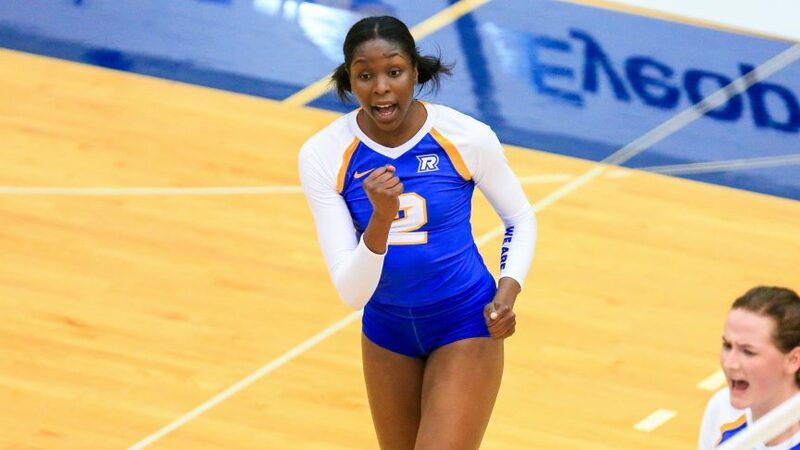 The Ryerson Rams women’s volleyball team topped the Waterloo Warriors in four sets in a jam-packed Coca-Cola Court at the Mattamy Athletic Centre on Feb. 8. With the win, the Rams improve their record to 14-2 on the season, to remain first in the OUA East with a playoff berth clinched. From the get-go, the Rams set the tone by accumulating great plays on the offensive end. Theanna Vernon was a dominating force on both sides of the ball to start things off, leading the Rams to a 25-10 opening set. After a surprisingly long and unsettling break before the start to the second, the Warriors looked to bounce back. Ryerson started to look shaky on defence and Waterloo managed exploit that perfectly by making key plays when it mattered, forcing the Rams to concede the second outing, 25-20. In the third, the Rams would show why they are the reigning champs and pulled through. The pushback was notably led by Vernon, who came up clutch to seal this one 25-14. Building on that momentum, the Rams continued to dominate and take an early 14-5 lead come the fourth. They’d eventually pull away and take the deciding set, 25-16. UP NEXT: The Rams will take on the Guelph Gryphons at Coca-Cola Court in the Mattamy Athletic Centre on Feb. 9. Game time is scheduled for 6 p.m.